A man has been found dead at a homeless shelter in Worthing. A police spokesman said emergency services were called to the property in Lyndhurst Road, which is operated by Worthing Churches Homeless Projects, at 3.30pm yesterday afternoon (September 5). The death is not being treated as suspicious and is being dealt with by the coroner’s officer, said police. Police said he has not been formally identified. 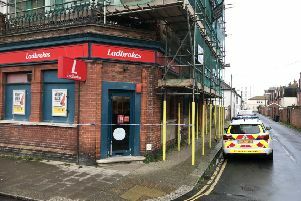 A spokesman for Worthing Churches Homeless Projects confirmed the ‘very sad’ death of a resident at the property but said they were not able to provide any further information. The 38-bedroom shelter has caused much debate since its opening in April, with residents saying in a community meeting they felt ‘fearful’. A police spokesman said crime figures had not shown any significant increases since the opening.